What are you doing this holiday season with your kid? Do you enjoy cooking with easy recipes? If the answer to the above questions is YES then here is a festive recipe that you might want to devour. 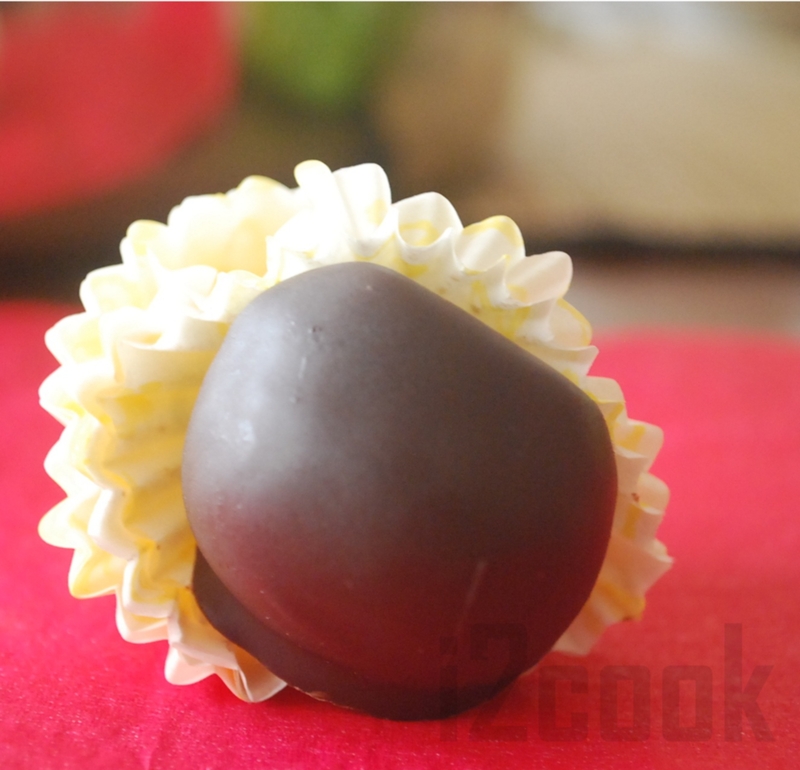 Creamy, sweet peanut butter filling covered with a thin layer of chocolate. This is a simple recipe which can be enjoyed by both parents and kids. The best past is that it involves no oven or a cook-top! Kids of any age can enjoy making these as it involves two of their favourite things peanuts and chocolate. 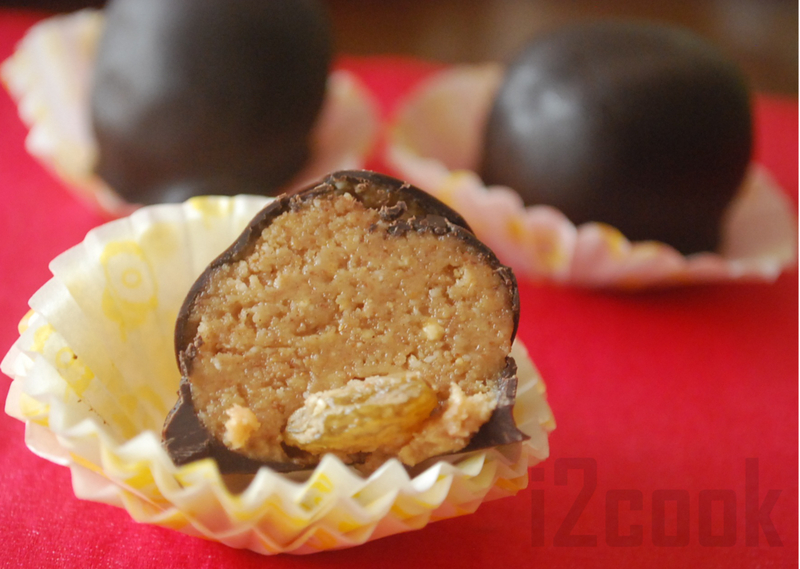 Peanut butter is a healthy snacking option for kids albeit the coating of chocolate makes it so much more fun :). So go ahead and indulge your loved ones in some fun cooking this Christmas! In a large bowl, whisk together peanut butter, honey & raisins until smooth. Taste the sweetness, you can add more honey if you like yours sweeter but remember, the chocolate is sweet as well. Dig in with your (clean) hands and take in a tablespoon of the mixture in your hand and roll into small balls. Place the balls on a parchment lined baking sheet. Once you are done rolling all, place them in the fridge to chill for about 2 hours. In a small but deep bowl, microwave the chocolate for 30 seconds intervals, stirring well until smooth. 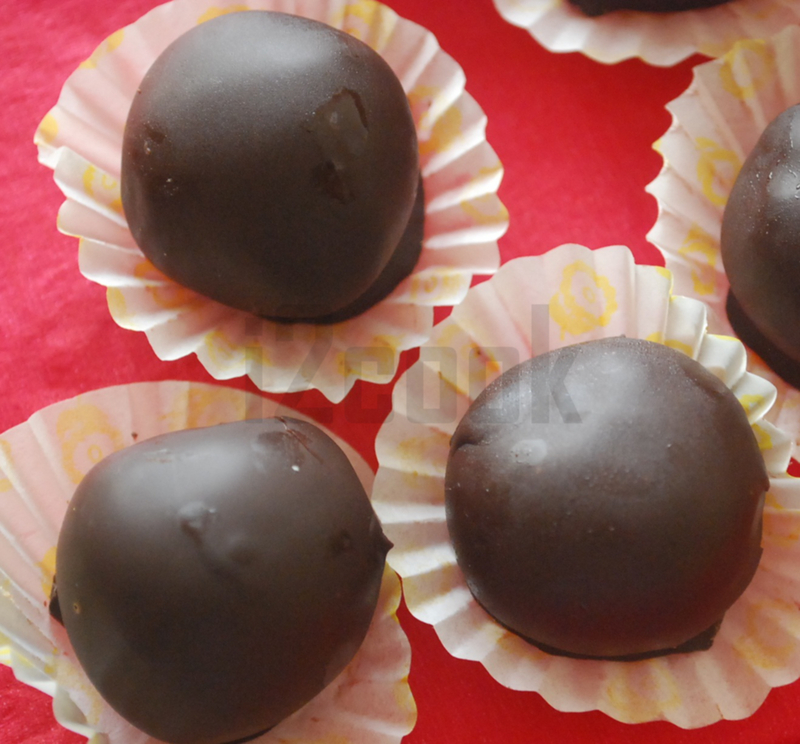 Using a fork, dip each ball into the chocolate, tap off the excess and set it back on the parchment. Repeat the same for all the peanut butter balls. Place them back in the fridge to set completely for a few hours, about 6 hours or overnight. Makes about 15 small-sized nibbles. Store in an air tight container, refrigerated. They work great as Christmas gifts too! I would love to hear your fun stories. Have a great holiday and Merry Christmas to you and your family. Categories: Natural Mantra | Tags: christmas gifts, cooking with kids, i2cook, peanut butter, peanut butter balls | Permalink. 100% Beeswax candles actually cleans the air and helps reduce the pollutant and allergen load. Candles are present in every home for several reasons. From the banal – power outage emergency to the more luxurious idea of creating the perfect ambience for a warm water bath, aromatherapy or a candle-lit dinner with a loved one. I was once gifted a candle by my grandmother because she said it would increase my concentration if I looked at its flame for a few minutes before commencing studies. Candles can light up the decor of any house in any colour. They add warmth, cosiness and create an ambience that’s tranquil and soothes the mind. Today, there are several varieties of candles available in the market. 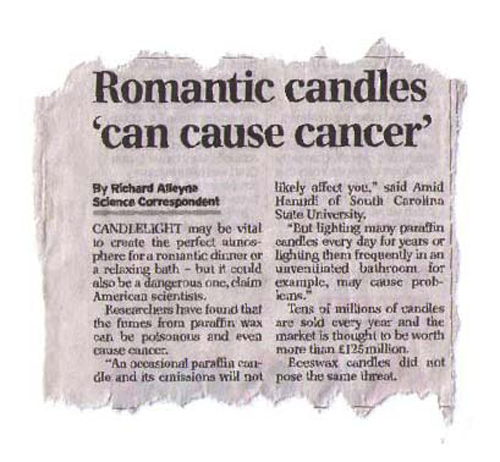 But the healthiest one available as scientific testing has shown over the years, are the candles made out of 100% beeswax. Beeswax is a 100% natural, healthy, non-toxic wax produced by bees to make their hives after having pollinated millions of flowers over their life. Thus the natural goodness of flora that the bees put together over a lifetime is what makes up beeswax. Bees pollinate flowers. A bee uses this pollen secured from flowers and combined with its own secretions make wax. This wax is used to then cover the honey comb. Choose Beeswax Candles and *Bee Cool*? Burning a beeswax candle is actually healthy for your home. It cleanses the air since it emits negative ions upon burning. It burns without producing fumes. It is completely non-toxic and it has a soothing subtle scent of honey that is pleasing to the senses. Beeswax candles help in preventing allergies caused by the smoke of regular candles. 100% beeswax candles are a natural remedy to allergy, sinus, and asthma relief. People with allergies, sinus problems, and asthma have reported improvement in their symptoms, breathing better and sleeping better after burning the 100 percent beeswax candles in their bedrooms for three to four hours before bedtime. Although scientists still don’t know all the intricacies of the complex molecules in beeswax, there’s at least a some explanation for the healthful action of burning beeswax candles. According to entomologist Bill Reno, burning beeswax produces negative ions. Negative ions are nature’s air purifiers, cleaning the air of dust, mold, bacteria, viruses, and other pollutants. Moreover, the light emitted by them is consistent with the light from the sun’s spectrum and burn brighter than regular paraffin wax candles. They not only emit a brighter light but also burn at a cooler temperature! Beeswax candles may appear to be pricier[i] because its supply is limited. Furthermore, for every 10 pounds of honey produced by a bee, only one pound of wax is obtained. On the brighter side, beeswax candles actually burn longer and drip less, leading to savings over time. However, the biggest investment benefit is your health and the health of your family because beeswax has such multiple positive facets that bring clean, pure, natural energy into your home. Paraffin is procured as a by-product of the petroleum industry. Ergo, the fumes they emit upon burning are akin to those of fossil fuels used in vehicles. Imagine filling your house with vehicular exhaust when you light a paraffin candle. Moreover, a lot of aromatherapy candles use artificial fragrances mixed with paraffin which make the fumes doubly toxic and carcinogenic because artificial fragrances are harmful for us. The light emitted by paraffin candles is a dull yellow like sodium-vapour lamps. They also tend to stain the surfaces of objects with soot upon burning which ruins home decor in the long run. 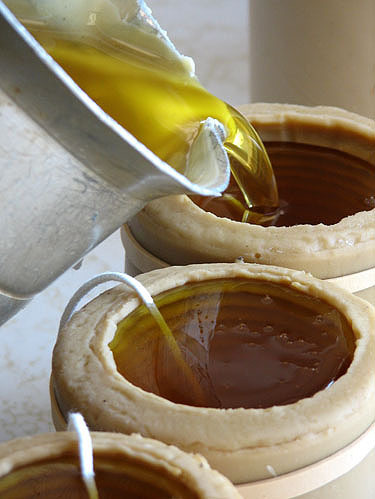 Beeswax is a natural and non-toxic substance. But while investing in beeswax candles, remember to ensure that they are 100% beeswax. Often, beeswax consists only 51% of the product to make it a certifiable beeswax candle. But it also means that 49% can be paraffin or other chemicals like artificial fragrances that are harmful pollutants. 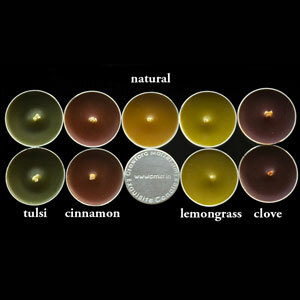 So insist on 100% beeswax with natural fragrances. If you want to try beeswax candles to make your house a healthy, clean and toxin free environment for your family, but you are unsure if you would want to go for a regular candle because of not-so-regular usage, try using the convenient tea-lights instead. Tea-lights are miniature candles about an inch in diameter and half an inch tall. Beeswax tea-lights burn for up to 3 hours. For those who have used beeswax candles in the past and felt the difference, there are various regular size candles available in the market today. For those who wish to cleanse their home on a regular or even daily basis, the large-glass candles make for a healthy, non-toxic purifier. The aromas of beeswax candles are wonderfully subtle and for me, that’s the bit I love most. Of course, the cleansed air adds to my calmness to appreciate that subtlety. While there are several natural fragrances that are available today, one of my favourites is the cinnamon flavoured beeswax candle. It has the natural sweet smell of honey and the wax and the spicy earthy smell of cinnamon. In our fast paced lives, a sustainable lifestyle shouldn’t be a struggle, but it sometimes is. Our mission is to provide the largest selection of natural, organic and eco-friendly products making it accessible and affordable to all. At NaturalMantra.com you can choose from a wide selection of safe, healthy non-toxic products, all in one place delivered to your door! Ankita is a graduate in Sociology and Political Science from St. Xavier’s College, Mumbai. The environmental movement has always interested her ever since she was introduced to the water cycle in the 3rd standard. She loves to travel and experience new cultures. At age 21, she first got a taste of “pristine” nature when she backpacked across the Scottish Highlands and she wants her kids to be able to experience that when they grow up to earn their trip across the world. She is also a teacher of languages – English and French. She hopes to make people aware of the advantages of adopting an eco-friendly lifestyle because she wants to be able to pet a tiger and swim with a dolphin when she gets the courage to pet the tiger and gets out of the house to exercise regularly at the pool in her locality and learns to swim…which is going to probably be around 5 decades from today. So help her to pet a tiger and swim with a dolphin. Go Green. Image Courtesy : Google and Crawford Market Candles. Terra Madre a worldwide event. 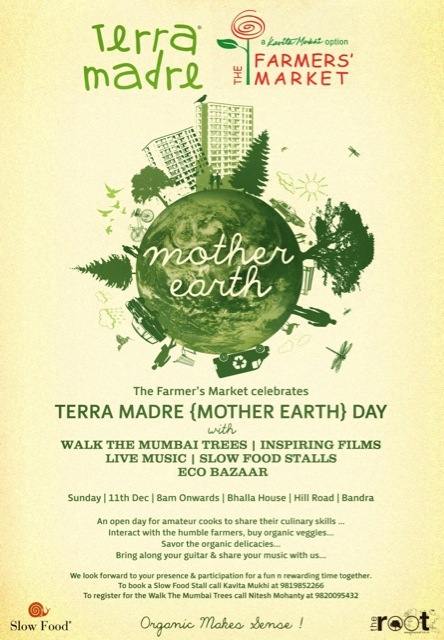 On the 10th of December, as the world celebrated Terra Madre or Mother Earth Day, a select group of Mumbaikar’s initiated the global Terra Madre movement at the local Farmer’s Market. 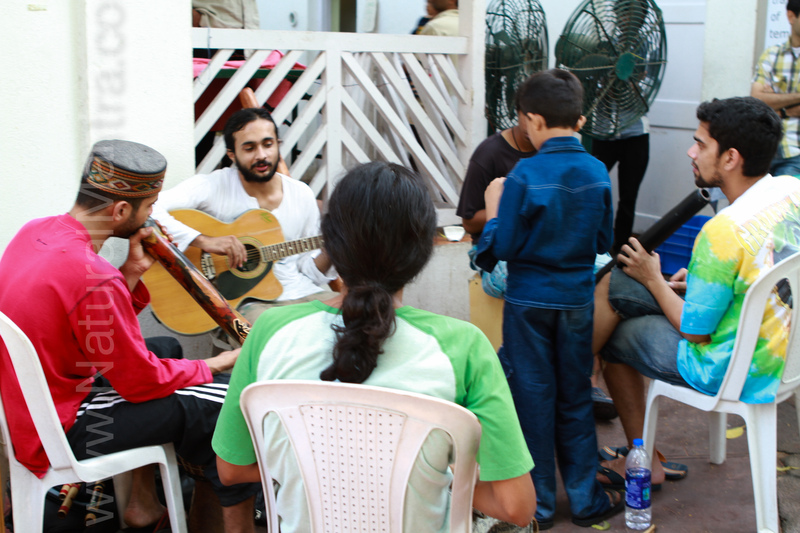 On the 11th of December, at the Farmer’s Market in Bandra, Mother Earth day was celebrated in a unique and exciting way to promote eco-friendly lifestyles even in the middle of a metropolis. Amidst the hypnotic droning of the Didgeridoos and rhythms being tapped out on (what I assume was) a wood box by this organic music band called “Tribal Flora”, people shopped for organic vegetables, fruits, cotton t-shirts, lead-free cosmetics, hand-made paper book marks and so much more! I’m new to the whole Green products market and I was a bit sceptical about it. I worried that I wouldn’t have enough variety to choose from, the stuff would be really expensive and that I would probably have to compromise on the “coolness” quotient if I had to go green. These are preconceived notions that anyone can have before trying out something new. But I tried to keep an open mind, looking around for interesting products that appealed to my sense of style, my budget and my perception of the green movement: more importantly what eco-friendly means to me. It is difficult to actualise the idea of going green in an urban set-up. Often times, one wonders is it even practical? And I’m a part-time student with a shoe-string budget. However, the local farmer’s market surprised me with quite a lot of things I saw on display and for sale. Visiting cards we fell in love with :). “Our Little Bit” had a cardamom flavoured beeswax and honey lip-balm which I picked up. There were chocolate cup-cakes made from organic food products which I was sorely tempted to eat, but I didn’t. There were movies being screened, books that were printed on handmade paper had been put up for sale. There were so many things to look at, eat, take home, read, wear – organic laddoos, dry fruits, and yes, elephant poo paper diaries. Talking about the diaries, there are two brands that caught my eye. The Root has something that gives my eclectic side quite a kick: Elephant poo paper diaries. The t-shirts have designs that focus on contemporary issues of consumerism,war, a need for peace, our planetary health. My father loves earthy shades of beige, olive green and ochre and The Root has these lovely colours and the designs on them are so tastefully done – creative, cool and direct in its approach to the issues that the brand is all about. I’m really eager to get one of the tees for my dad as a birthday gift. Along with “The Root” which is for the more serious environmentalist, “No Nasties” offer some funky t-shirts with youth-oriented designs which bring out the cool eco-warrior in the conscious younger generation. Clean Planet has funky bags; Pretty totes, gift bags, cloth bags to keep ones veggies fresh even in the refrigerator, and printed messages that are tongue-in-cheek, which makes it all the more fun to carry these totes around. 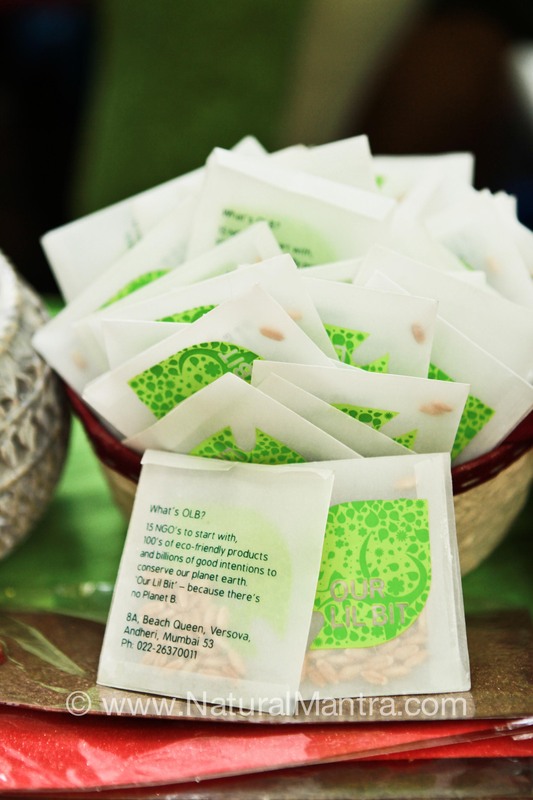 Clean Planet is about catering to all lifestyle groups that want to go green. Be it formal totes, foldable cloth bags for occupying less space in one’s purse, handmade-paper diaries, and Christmas decorations made from recycled paper with witty quotes. Don’t knock the weather. Nine-tenths of the people couldn’t start a conversation if it didn’t change once in a while. I highly recommend you check the Clean Planet Totes collections here. You’re guaranteed to find a tote that speaks for you. Categories: Sustainable Living | Tags: Clean Planet, Elephant Poo notebooks, Farmers Market Mumbai, No Nasties, Organic Fashion, organic t-shirts, Organic tees, stylish, sustainable, The Root, totes and bags | Permalink. For residents of Mumbai, The Root & The Farmer’s Market are getting together to make you feel good about the way you spend your weekend. This Sunday, as you shop for fresh, organic greens and earth-friendly products, you will also get an opportunity to be a part of a worldwide movement ‘Terra Madre (Mother Earth) Day”. Here’s your chance to participate without having to go too far to do your bit for the planet. In line with Slow Food’s philosophy of good, clean and fair: good for our palate, clean for humans, animals and the environment, and fair for producers and consumers, the worldwide Terra Madre network is working to create an alternative model of food production and consumption. The event aims to promote local foods through an alternative model of production and consumption. 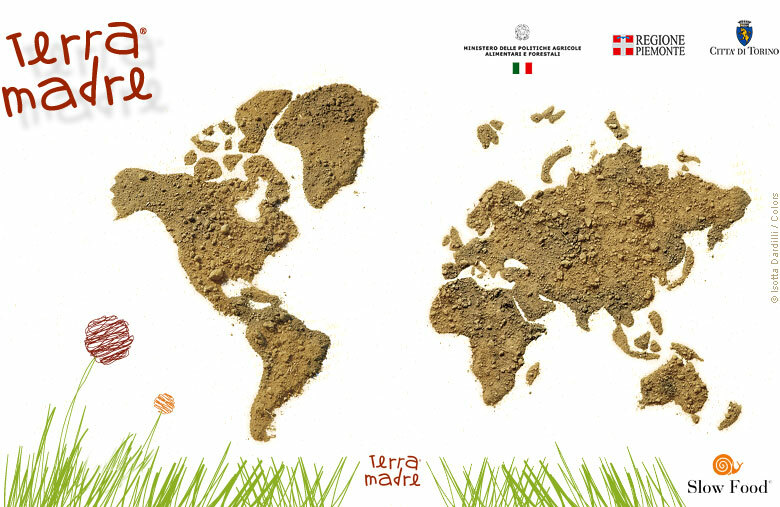 With over 900 events and 160,000 people participating in celebrating Mother Earth Day across 160 countries through Terra Madre, Slow Food aims to connect consumers with producers to create a sustainable food culture for the future. 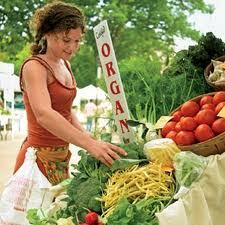 Co-ordinates : The Farmer’s Market, Bhalla House, Opposite St. Andrew’s Church, Hill Road, Bandra (West), Mumbai. Here are details about the event. To RSVP please click here. Join Lahar & Satwiki of WALK THE MUMBAI TREES as they take us through Bandra’s heritage cluster -Chimbai, Ranwar & Sherly Rajan Road to learn & understand more about the trees of Mumbai. Don’t miss this unique way to understand how we and our environment can have a symbiotic existence. 8:00am-8:45am. To RSVP for this walk click here. Witness an inspiring short films from Global Oneness Project. The Global Oneness Project Films explore how the simple notion of interconnectedness can be lived in today’s complex world. Since 2006 a team of film makers have been traveling the world gathering stories that not only question the current paradigm but also reveal our greater human potential. Every Sunday the farmers get fresh organic produce form their farms around Mumbai & provide a healthy option to the citizens of this city. Shop from a range of unbelievably pure & robust variety of tomatoes, broccoli, zucchini, basil, papayas, water melons, guavas & much more… Interact with the ever-smiling farmers & understand the ORGANIC way. 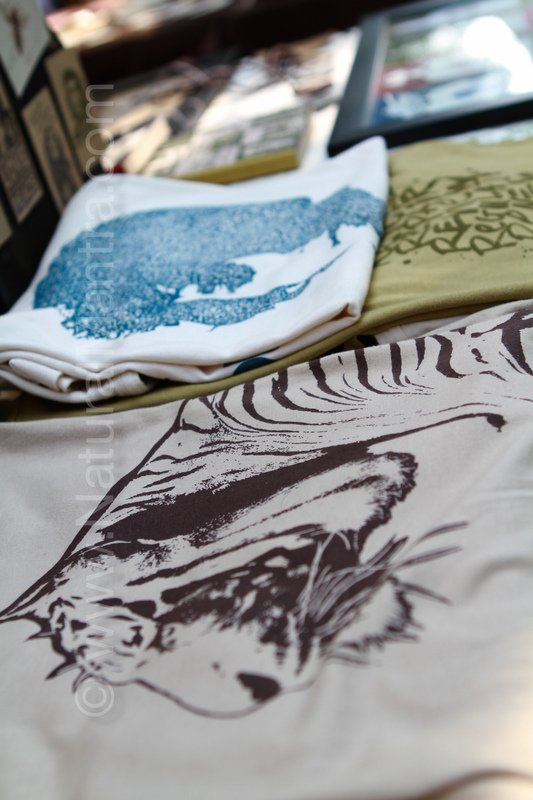 Also drop by at the Eco-Bazaar, & shop consciously created products such as organic cotton t-shirts, elephant poo notebooks, studio pottery, gift collectibles, bottled spring water, spices, honey, natural incense, cosmetics & much more. In our fast paced lives, a sustainable lifestyle shouldn’t be a struggle, but it sometimes is. Our mission is to provide the largest selection of natural, organic and eco-friendly products making itaccessible and affordable to all. At NaturalMantra.com you can choose from a wide selection of safe, healthy non-toxic products, all in one place delivered to your door! Categories: Natural Mantra | Tags: Terra Madre | Permalink.